Crab Shack is an incredible oceanfront home. 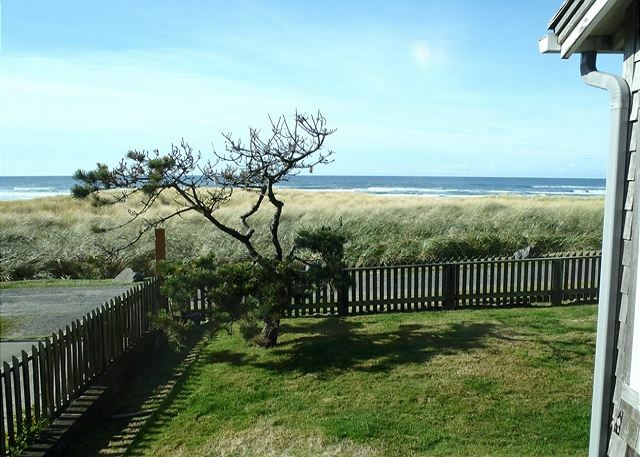 Centrally located, this home is in the presidential streets of Cannon Beach. Walking to downtown or midtown is a breeze. The stylish and comfortable décor is extremely inviting. Trust us, it will be hard to leave after vacationing in this amazing home. The large dining table, just off the kitchen looks out at the Pacific Ocean. The slider door takes you to an oceanfront deck, this is a great spot to enjoy your morning coffee. 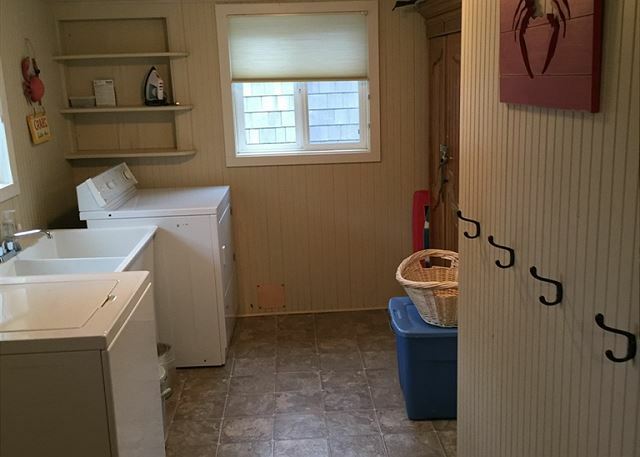 Just off the kitchen is a spacious laundry/mud room. Through the French doors you enter the living room. The main seating area is staged in front of the television and offers great beach and ocean views from many windows. A second area has two over stuffed chairs facing the ocean. This is a wonderful spot for reading or just gazing at the ocean. Brand new gas fireplace in the living room area. Beach access is just out the back gate. 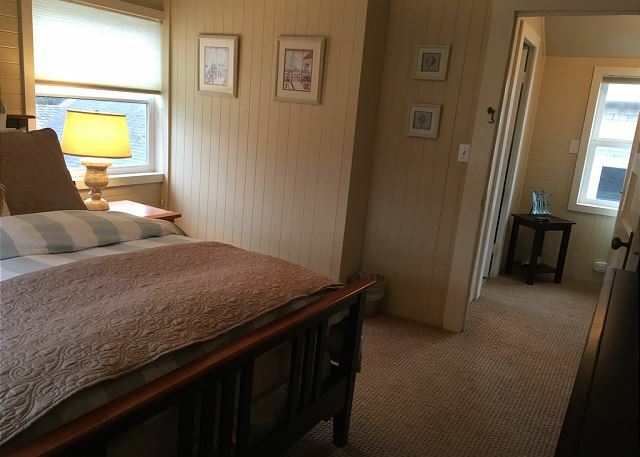 The bedroom on the first floor has a Tempur-Pedic king size bed and full bathroom that adjoins. 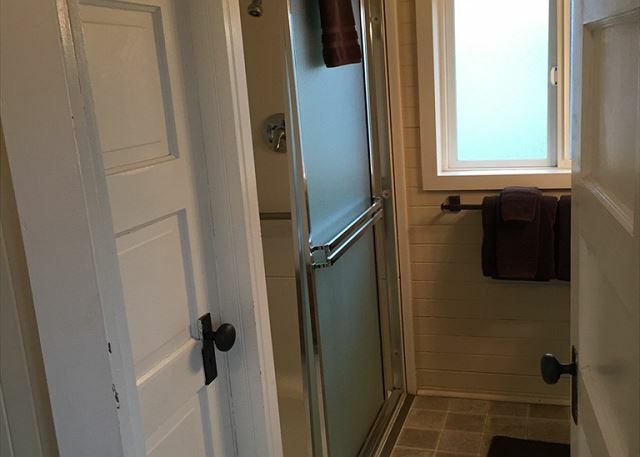 You can also access the bathroom off the kitchen. 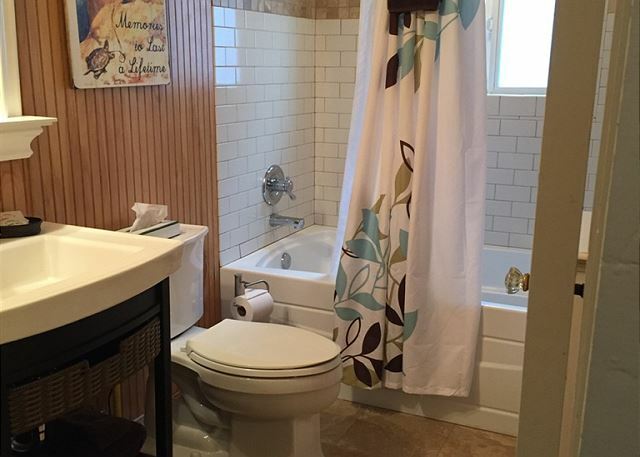 Upstairs you will find a second full bathroom and two bedrooms. The bedroom on the east side of the home has a queen size bed. 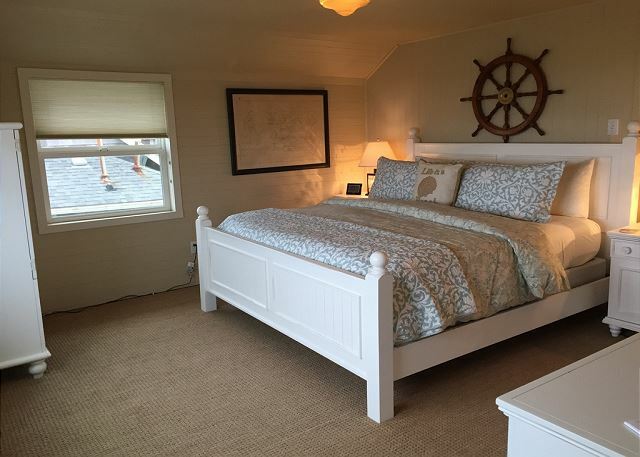 The other, facing the ocean has a Tempur-Pedic king size bed. 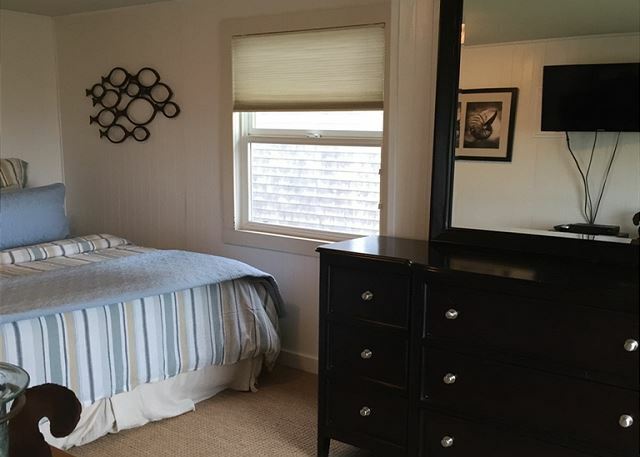 Sleeps 6 max, no smoking, pets are welcome, and parking for 2 cars. wireless internet. Accommodates 6 maximum; pets welcome; no smoking; parking for 3 vehicles. 14 night minimum stay for the summer months with a Friday arrival date. "Always make you feel welcomed and friendly." Thank you Debbie, we try to make everyone feel special! "Fabulous charming home with views from every window. Best location and beach access." "Nice location, animals friendly "
"Ability to stay in a lovely home in outstanding location with our golden retriever!" "This was the second time we have stayed at the Crab Shack. 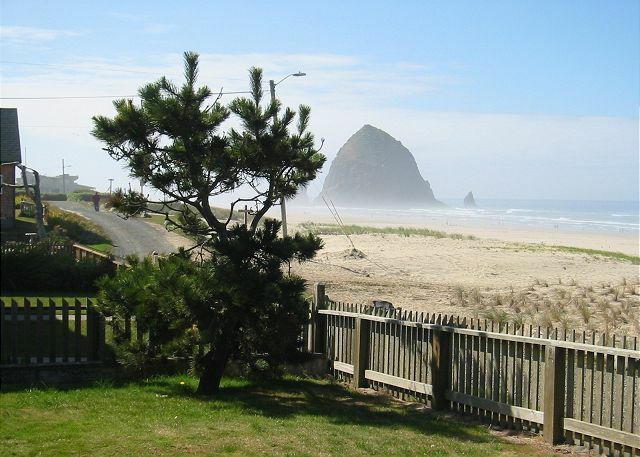 We chose it as it was so conveniently located to both town and Hay Stack Rock and it's pet friendly. We spend a long Thanksgiving weekend with members of our family." "Our second stay at the Crabshack. Delightful. Just hope it will continue to be available." "Needs a few repairs - leaky kitchen faucet, running upstairs toilet - all minor. Very comfortable bed. More explicit instructions on how to use TV/DVD would be helpful. Property is for sale -$1.8 million, but I hope it remains available to rent through CBPM." "I am in LOVE with the Crab Shack!!! The entire process from finding and booking a property to check-in and check-out was absolutely wonderful! Cannon Beach Properties is the ONLY property management company that I will ever rent from. The home is well appointed and serene and in a super location. 100% satisfied!!!" "The crab shack is literally the perfect beach getaway. Two blocks to town, just leave the car parked. Presidential ocean front, what more can you ask for? CB property management is very accommodating and available." "We thoroughly enjoyed our stay in the Crab Shack and will definitely visit again! It was comfy, clean, plenty of amenities and an incredible view!" 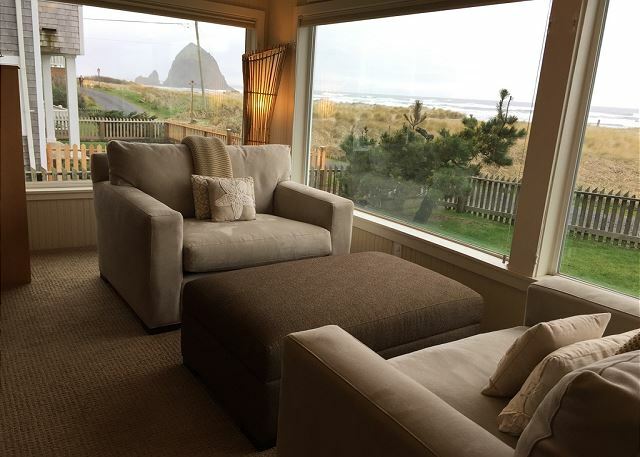 "If you are looking for the best location and view in Cannon Beach, the Crab Shack is your answer. This was my 7th or 8th yearly visit and as always, I hated to leave. It is so comfortable and the views are outstanding from almost every room. The bedrooms (2 masters) both have gorgeous views, comfortable beds and fabulous light. Whether for a romantic getaway or a family reunion, this home is a perfect 10. The only part that I never like is leaving." 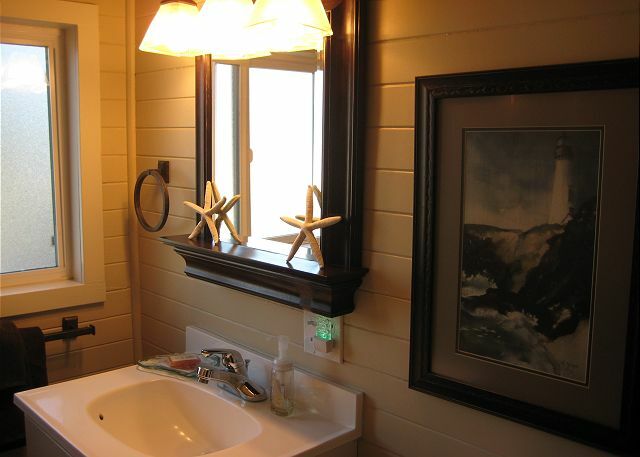 "Crab Shack is a warm & charming beach cottage perfectly situated for enjoying the best that Cannon Beach has to offer. The 180 degree unobstructed view of the ocean is unsurpassed! And the proximity to town makes it easy to walk in for coffee, shopping, cocktails, or a meal. Would return in a heartbeat:)) "
"Great trip - lots of storms and still had sunshine"
"Most enjoyable. House, beach, village, location beach access all wonderful. Keeps us coming back. Only recommendations would be to replace kitchen sink and to add a propane barbecue." "Great time in Cannon Beach in Crab Shack! The location to town and the beach was perfect! The house is super cute and ready for guests - sand toys, kites, boogie boards and doggie items! We had a great trip! We will be back!" "Our second year, and we wouldn't stay anywhere else if Crab Shack is available. Positive and negatives: beds are comfortable, kitchen needs updating, but nothing matters when you see the beautiful view right on the beach with seagrass and crashing waves, and great location to walk the Presidential neighborhood. Cannon Beach is all about dogs on the beach, so we love that Crab Shack allows well-behaved dogs like ours." "The home was impeccable with high end linens and TV in every bedroom and living area though it would have been helpful to have had written and clear instructions on how to change sources from TV to DVD to CD, etc. Perfect views and walking distance to town. Kitchen fully outfitted. The cold water in the kitchen barely trickled however and I would suggest the owners provide a gas grill." "The Crab Shack is quite literally ocean front with views to die for. The house is well kept w/ many updates but still keeps it's 100+ year old charm and funky personality. We stayed for a week in May & found the house had absolutely everything we could possibly need from beach chairs & towels to dish/laundry soap & coffee filters... You can literally show up with just the clothes on your back & your toothbrush & you'd have an amazing stay. The wood burning f/p worked great, the shower(s) had awesome water pressure w/ plenty of hot water. And we loved how our pup was made to feel at home w/ dog cookies & bed for her and toys & dishes too! This is the perfect house for 6 people. Plenty of room & privacy. Huge deck was great (hot tub would make it perfect... just sayin') & the kitchen was well laid out with every utensil & dish known to man. No problem cooking for everyone. The management co was a pleasure to deal with from start to finish. And can`t beat the location just a short walk to shops/restaurants (shout out to The Irish Table, Suzy's Cafe and Castaways Tiki Hut restaurants -- amazing food and service). All around a great experience. We'll be back"
"The Crab Shack is beautifully decorated stocke with all needed items and the location is very convenient to beach walks to Haystack Rock or downtown. 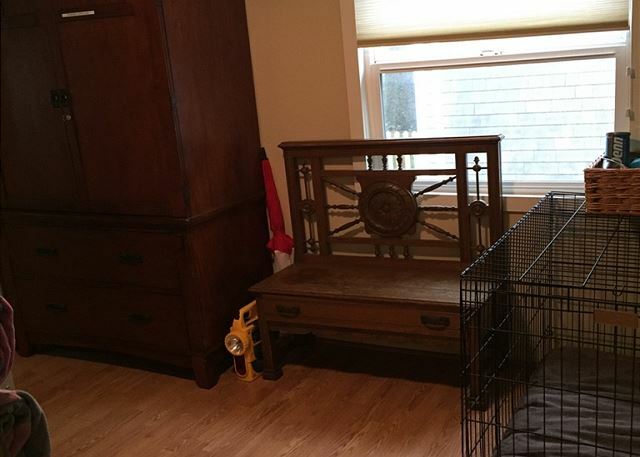 Very Pet friendly accommodations and the fenced yard was great! The only thing missing for us was a CD player as we didn't have an Ipod." "Quaint cottage, very compfy, and a lovely experience." "Crab Shack was a beautiful home, right on the ocean, with every amenity we could hope for. It was clean, well stocked, very comfortable and wonderful beds!" "A great winter storm with such big picture windows to enjoy the view of surf and Haystack rock. My daughter was very pleased with arrangement and views as was my wife. Great sercie on book ing and on arrival"
"We had a fantastic family reunion at the Crab Shack. The house proved to be just right for three couples with plenty of space and games to play. The owners have done a great job keeping the history of the house and yet updating to meet all our needs. Can't say enough about the location, right at the beach. 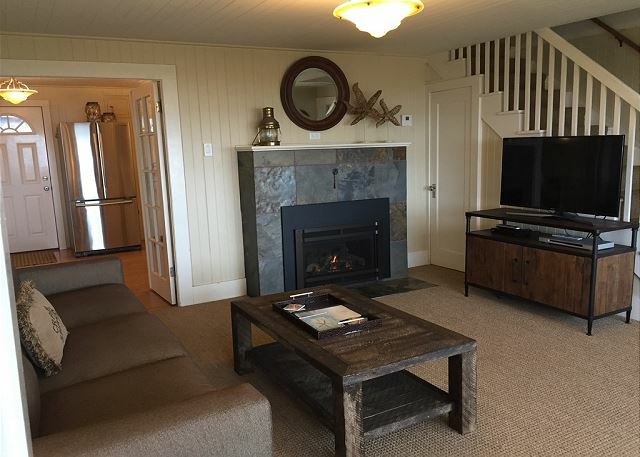 This was our first stay at Cannon Beach and we will certainly be coming back." 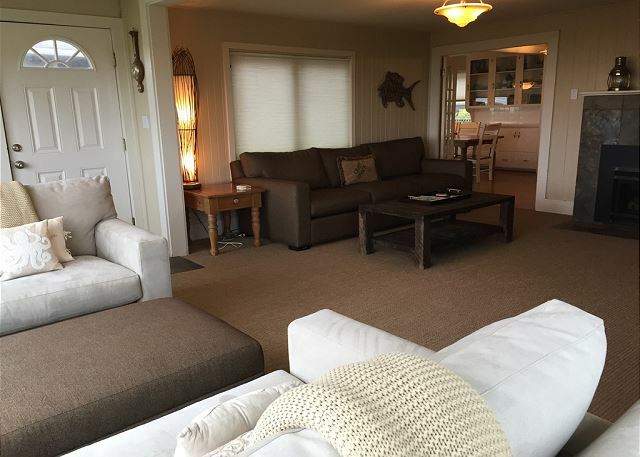 "We have visited Cannon Beach many times over the years and this is by far my favorite house. It is in a perfect location and the house itself is just darling. I can't wait to stay in it again. " "6th 0r 7th time we've rented Crab Shack. Bedding could more comfortable. Charming." "Crab Shack has the prime location, is well furnished, and well managed." "We are repeat visitors! We will be back next year! " "I will return and rent the Crab Shack again. The location is the best and the property is exceptional. " "Every year I look forward to renting a home on the beach, CBPM makes the reservation process a breeze. Great people and very accommodating. The properties are lovely. We have stayed at least 7 times and look forward to revisiting again. " "Year after year of coming to Cannon Beach, we have always experienced friendly, courteous and first class service from all the office staff at CBPM. This year we rented the Crab Shack for the first time. 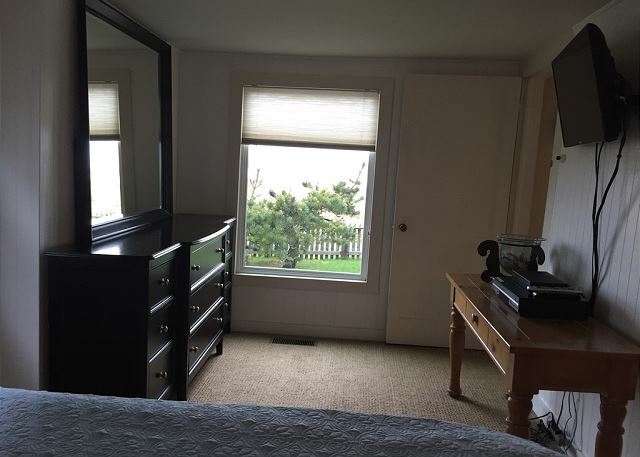 The location is fantastic, right on the beach, commanding a wonderful view of the ocean, Haystack Rock and Ecola Park headland and is only a couple of minutes walk from the village of Cannon Beach. The house itself is warm, charming, clean and comfortable. A lovely big kitchen and dining area with everything you could possibly require. The bedrooms are spacious and comfy. The main living area is very cosy and comfortable, but for a group or family of 6 people that like to be all together, an additional one or two armchairs would provide more comfortable seating for all. The owners have a wonderful array of books, videos, dvd's and games for everyone's enjoyment. The décor, wall hangings and shelf decoration is outstanding and just adds to the character and charm of this home. We would recommend this place wholeheartedly and will most certainly be coming back ourselves. "Always enjoy the Shack. 5th or 6th stay. We'll be back. "Our Second year here and we plan to come back"
"Wonderful ocean front location, family and dog friendly too! "Other than the sloppy dog owners who rented before us and left poop in the yard... The Crab Shack is now 110% perfect. The kitchen has a fresh new remodel since our last stay and it is wonderful. 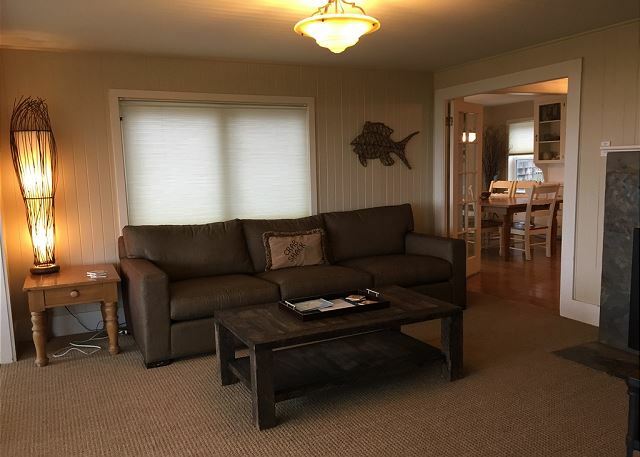 The Carb shack is the nicest vacation rental in Cannon Beach. Try it. you will love it!" 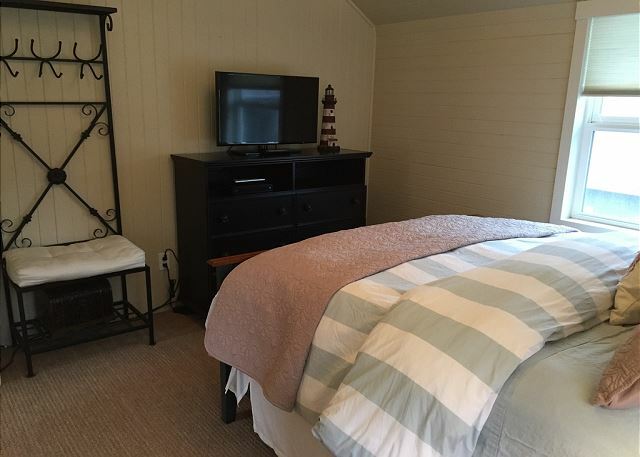 "We love the location of this Vacation Rental Home. Close to town, and the view can not be beat." "Our second stay at the Crab Shack. Excellent!!! Close to downtown or midtown location. 3 HD TV's and one regular TV. Smoking fast wireless internet. Beautiful view of the ocean. Dreamy beds in evey room. Clean and veru comfortable. However... If you are a gourment cook this house may not be for you. The kitchen is old and outdated leaving you only the basics to work with. 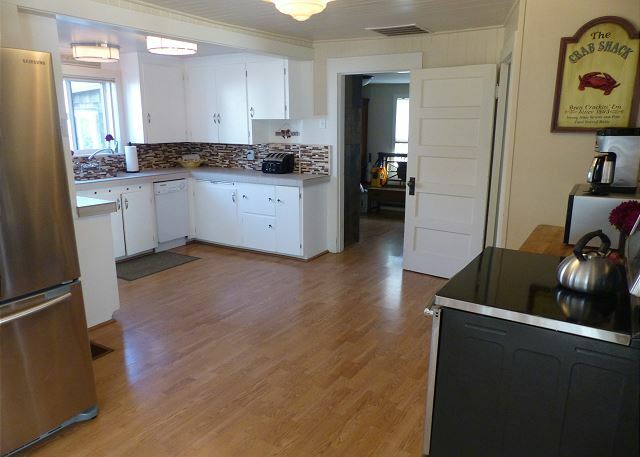 If this house had an updated kitchen it would be the Best House on the Oregon Coast... If the kitchen is not a problem, which it is not for us, then try the Crab Shack. A wonderful vacation destination. I will go back in the Spring..."
"Outstanding view, charming house, Very positive experience!" 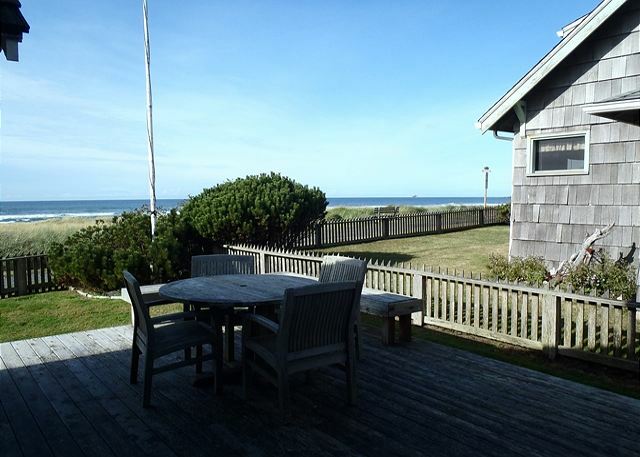 "The house was in a great location right on the beach. The rooms were large enough to be very comfortable. The beds? Outstanding! Never expected that my typical morning sore back would be nonexistent. The views from the living room and 2 of the bedrooms were beautiful. We will be back." "The views are priceless. Great experience for the whole family. My 3 year daughter did not want to leave. She said we are moving to Cannon Beach." We liked it so much that we already scheduled next years visit!" "Our third visit. Doesn't get any better. Can't wait to go back. " 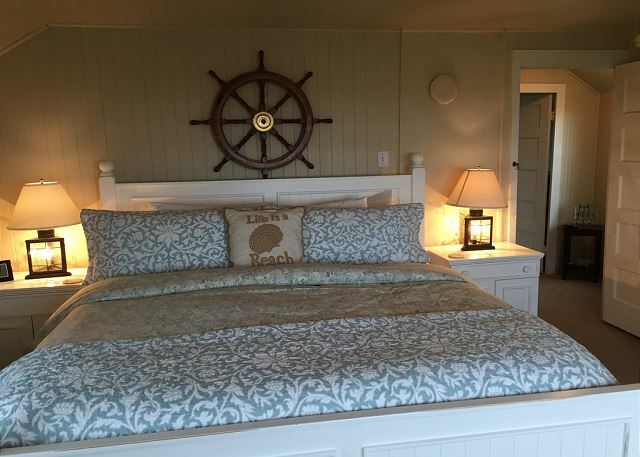 "Crab Shack is a perfect oceanfront home to spend with friends or family, tastefully decorated, spacious & ocean views from every room, love it!" "It was our 4th stay at the Crab Shack and it just gets better everytime. The home is charming, the location couldn't be better, and the view is drop dead gorgeous. Fabulous storm watching from almost every room. Sweet yard completely fenced and dog friendly. Open the gate and step out into rolling white sand dunes. Fall asleep to the sound of the waves. Quiet neighborhood and only a couple blocks to downtown shops and restaurants. Park your car and walk everywhere! The only negative is that we had to leave." "Weather was spectacular this year"
"LOVED EVERY MINUTE THERE IT WAS LIKE BEING AT HOME AWAY FROM HOME. EVERYONE LOVED THE CHARM AND DECOR OF THE COTTAGE WE WERE ALL VERY RELAXED WHEN WE LEFT AND DECIDED WE WILL DEFINITELY BE BACK TO THE LITTLE COTTAGE BY THE SEA." "Lovely place and love to be able to walk everywhere. Paying top dollar though we would have liked somewhere to keep the garbage secure and more kitchen towels." 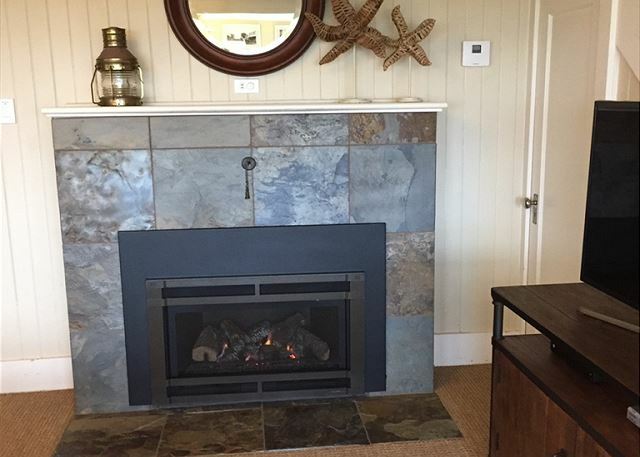 "We truly enjoyed our stay at this beautiful beach house. The views were spectacular of the ocean and Haystack Rock. We enjoyed walking the beach as well as the short walk to the town of Cannon Beach. This was a dream vacation." "Loved, loved, loved this place. What a view and the sunsets were the best! Grab a glass of wine relax and watch the sun set." "The only issue we had was with the 2 right side stove burners not working properly. A gas grill would be a nice addition too." "Fabulous location, incredible views, very comfortable. Needs a little spiffing up (dirty streaks on walls and doors, chipped tile & woodwork, gouges in the downstairs bedroom wall, collapsing bed in there). Overall we had a fabulous stay and would do it again in a heartbeat when we save up again. For the price, it would be a nice touch if you supplied firewood, like most rentals in the Bend/Sunriver area that rent in the same range." "This is our 4th year using the Crab Shack for our relaxing anniversary trip and as usual it was wonderful. " 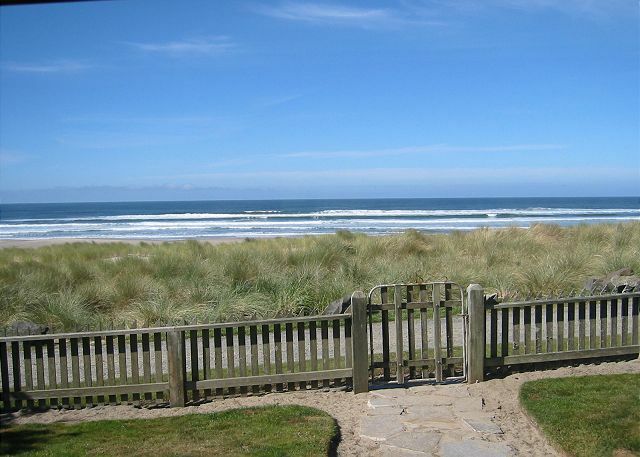 "If you are going to stay at cannon beach this is a great rental company to work with. They work to accommodate all your requests and have beautiful properties. We stayed at the crab shack and try to make this our every other year tradition. It has the best location and layout for our family." "An excellent property, excellent location, 10 steps to the beach 5 minute walk to downtown or mid-town. Flat screen TV's, very fast internet access, heavenly beds in each bedroom, all new appliances. A one of a kind rental find. This is our new beach house when we visit Canon Beach. On one day of our trip a severe wind storm knocked out the power. Cannon Beach Property Management did everything they could to accomadate us and our vacation continued without a glitch. We hope to be able to visit the Crab Shack each year... "
"My trip was somewhat better sweet. My wife and I planned the trip to celebrate her retirement after 40 years with thesame company. Unfortunately, after we made the reservation she was diagnosed with cancer and passed away prior to our trip. I made the trip with my two children and their families. We had a wonderfull trip that helped us progress through the grieving process. We plan to return to the Crab Shack next yera." "Fabulous and ideal location. Very comfortable beds and furniture. Great furnishings and decor. Fenced yard a plus. Surprises: Stuff for kids on the beach, outdoor foot wash, DVD/VHS/Books/Games collections, kitchen and dishware galore. Downsides: Shy on a closet (downstairs) or hooks to hang coats/sweaters, shy on electrical outlets. But yes, we WILL be back. " "When I read the reviews for the Crab Shack it sounded too good to be true. We were not disappointed. 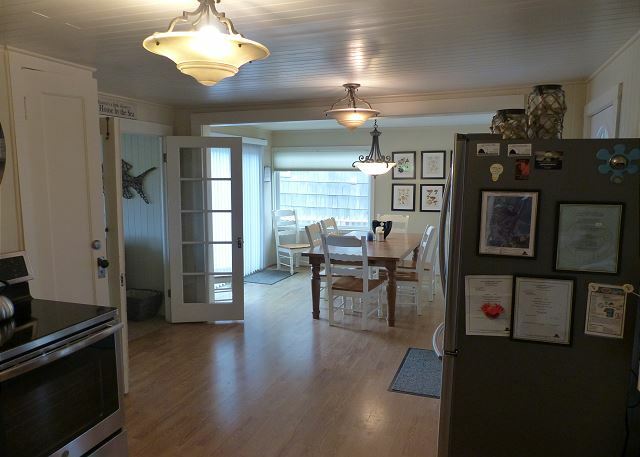 It is in a great location on the Presidential Streets, an easy walk to town and to Haystack Rock. For a 1905 historical home, it is in fantastic shape. It was also well stocked with a full kitchen (including spices, teas, condiments, popcorn), a full laundry room/mud room (with a dual laundry tub that was great for bathing our small dog after a walk on the beach), plenty of books, DVD's and VCR tapes. On sunny days you can sit on the large deck and on wet days you can sit in the living room surrounded by four large picture windows overlooking the ocean. There were only two of us but the home has three bedrooms and plenty of room for large groups." "We arrived for our 3rd visit to the Crab Shack just in time to experience a strong storm hitting the Oregon Coast. From the moment you open the front door and step inside the view takes your breath away. The historical cottage provides all the modern conveniences with the original charm intact. Pottery Barn on the beach! The large picture windows take advantage of the views from most every room. We can't wait to return!" "Right on the beach....can't beat it! Weather was terrific.....house was excellent. Beautifully decorated and you wanted for nothing. Books, videos, games, etc. and VERY kid friendly. Best family vacation ever !!" "six years of sevice and great communication make me a return guest with CBPM......"
"The house could use a couple of outdoor chaise lounges for the deck. " "This saying is on a sign above the doors into the living room with gorgeous view of the beach at Crab Shack.. so true! We definitely enjoyed this as a home away from home. Location was nice - quiet, yet super close to everything. House is older & full of character, yet beautifully decorated with plenty of videos for those movie nights after sunset. The beds were super soft which was a bit different than home so something to adjust to. The house was perfect size for our family, yet allowed for a bit of room for a couple to come visit us for a night too. " "One item which was not clear from the property management website was that during the week of a holiday, the holiday (highest) rate is charged. The website only mentions that high rates are charged during high season and holidays." "Don't see how it could have been any better." "The Crab Shack is wonderful! We could not imagine a better place to stay and will be returning as a family for sure. Thank you for sharing this beautiful home with us. The tempurpedic beds were a dream and the big open spaces were perfect for us to all spread out. We thoroughly enjoyed our stay." "We were so satisfied we tried to book it for next April, but because of the crazy city laws for vacation rentals, it was not available the weekend it wanted it. We are renting another property however through CBPM. Thanks for everything. We'll be back to the Crab Shack again! Love that it is "pet friendly."" .home is always delightful and the setting is perfect. We would visit more often but the price is a big commitment. Hopefully we will return again." "Loved the Crab Shack-We have rented from other property management companies and you were by far the easiest to rent from." 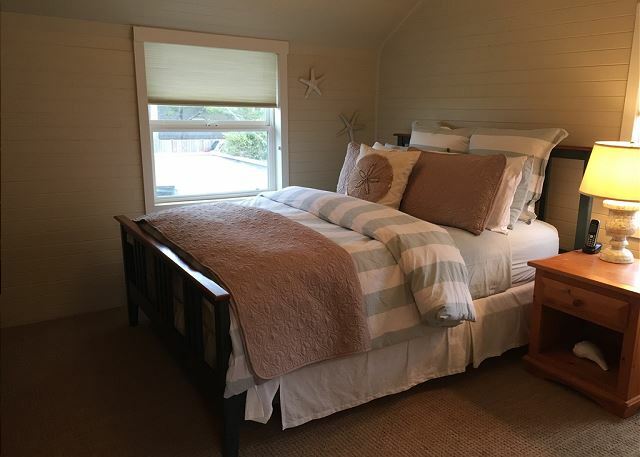 "If you've been looking for the perfect cottage right on the beach in Cannon the Crab Shack is it! The only thing better than staying there would be to own it. We loved the large picture window looking right out to the ocean. The fenced yard was fabulous for our dogs and the beds were delightful. It couldn't get any better. The perfect cottage retreat!" "We enjoyed staying in this historic home so much! 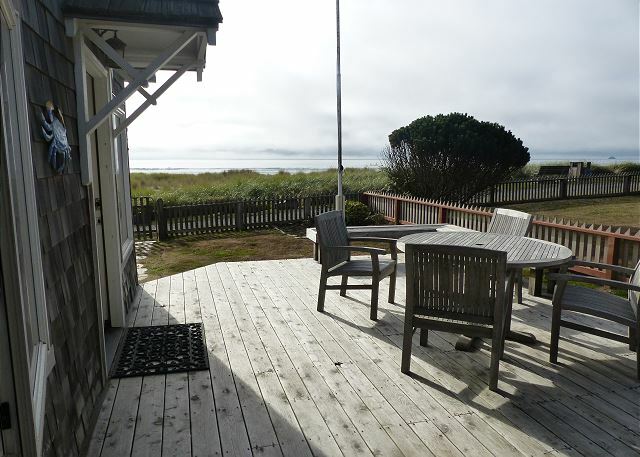 Its location is perfect; it's a quick walk to downtown and right on the beach close to Haystack Rock. Would highly recommend! " "We already filled this out." "Fantastic rental. All the luxuries of home(and more) right on the ocean." "We were very pleased with the Crab Shack. It was very clean and the decorating was well done. This is a very old house and they have kept it in very good condition. Would have liked a little more closet space, but for a week, it was fine. The view was spectacular and we were very lucky to have nice weather for most of our stay. We had some beautiful sunsets and wonderful walks on the beach. The location is wonderful. Just out the door the beach and just a couple of blocks to the city. We are planning a return visit next year to the same house, but may check out a couple more of the houses that are available in the area rented by CBPM. "